07 Jun, 2017 by	Margaret M.
Before announcing his run in June 2015, Donald Trump had requested and read a copy of Ann Coulter’s book on immigration entitled, “Adios America! 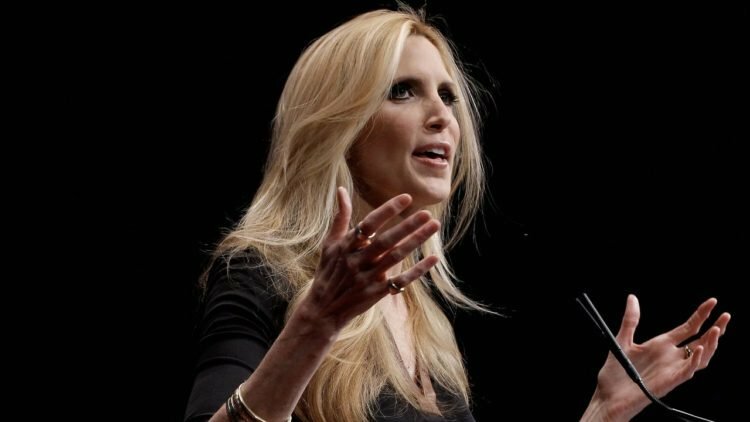 The Left’s Plan to Turn Our Country into a Third World Hellhole,” and she’s been a strong voice in the fight to shut down the borders for years. In a recent appearance on Fox Business’s Varney & Co., she quickly laid out the case for an updated version of the travel and immigration ban that’s been in the news for months. In the video, as transcribed by Breitbart, Coulter makes a case for reverting to a temporary ban on all immigration, not only immigration based on country or origin or religion. Bans based on religion, for example, can easily be torn apart by judges with a bone to pick, but it’s much harder to halt a ban on immigration across the board since there is no apparent discrimination. It’s worth remembering that even people from western countries who immigrate to America still need time to get used to the new social climate. Someone from Canada or England still needs to adjust to different social cues like tipping etiquette, to adjusting to a new schedule with Memorial Day off instead of royal-based holidays, and they need time to learn American history and political structures more thoroughly. Even changing identification and catalog subscriptions in a whole new country takes a considerable amount of time. It’s not crazy to say that an immigration ban with intent to Americanize all current and new immigrants is a bad idea.